Developed to counter the build-up of road film, grease, oil, carbon and pitch from machinery and exterior surfaces, WONDERSOL has already built itself a reputation as a reliable and efficient chemical cleaning option, and is fast becoming the cleaner of choice for transportation companies, mines, pulp and paper mills and engine repair shops. While principally used in the cleaning of heavy machinery, locomotive exteriors, trucks and shovels, this multi-purpose cleaner can also be used for cleaning away the grease and grime that commonly develops on shop floors. 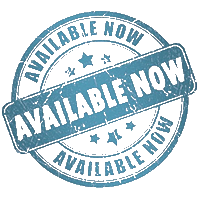 Velocity Chemicals Ltd is happy to announce that it is now possible to order WONDERSOL directly from Acklands Grainger, our select distribution partner. Headquartered in Richmond Hill, Ontario, Acklands Grainger is Canada’s largest distributor of industrial, safety and fastener products. It has 172 branches and 6 distribution centres located across Canada, and boasts a catalogue of more than 300,000 products from the world’s leading manufacturers. Speaking about the distribution partnership, Velocity Chemicals Ltd President Paul Krieser highlighted the benefits that it would bring. Velocity Chemicals was founded with four core values as its driving force – innovation, safety, environmental awareness and a commitment to service excellence. Through our distribution partnership with Acklands Grainger, we have enhanced our service excellence even further by ensuring that our customers, wherever they are across North America and Canada, enjoy even easier access to WONDERSOL and other Velocity Chemicals products. 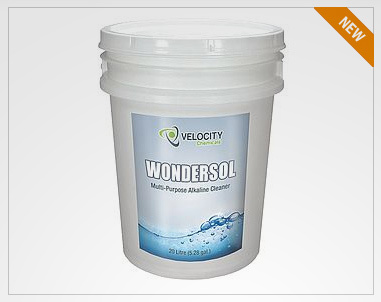 In addition to WONDERSOL, Velocity Chemicals Ltd’s complete line of cleaning and degreasing products includes BLACK HAWK, BIO-NATURAL PLUS (both powerful solvent degreasers), CITRIO (a water-based citrus cleaner and degreaser), COMBAT (a heavy-duty citrus based cleaner and degreaser), FASTQLEEN (an oil splitting multi-purpose, heavy duty non-caustic cleaner), and WHYNOT (a non-caustic, non-silicate, heavy-duty general purpose cleaner). 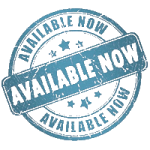 Velocity Chemicals Ltd, with corporate headquarters, manufacturing and distribution facilities in Surrey, British Columbia, is a Canadian manufacturer of chemical specialty maintenance products. We sell both domestically and to the United States through a selective network of distribution. Velocity Chemicals products and services are used in Canada’s largest companies across multiple industries.